Treatments entail pain relievers, neck traction and surgery as a last resort but the best is physical therapy. Physical therapy is a form of non-medical treatment that involves exercises geared towards corrective and management strategies. Treatment depends on the kind of injury or pain located at the neck. If it is severe, then the kind of treatment is intensive and has to be supervised by a physical therapy at Parsippany Physical Therapy. A therapist is able to prescribe home remedies if the neck pain is mild. Physical therapists at Parsippany Physical Therapy advise different home remedies for cervical pain management. The simplest remedy is taking it easy. This does not mean that you crawl into bed and do nothing but It means notching your activities down especially those that would put a lot of stress on the neck. Physical therapists in Parsippany, NJ advise that rehabilitation for a stiff neck especially after an injury should be managed by cold/hot treatment. It involves applying ice on the stiff neck for the first 24-48 hours to reduce inflammation. Then use heat to loosen muscles and improve muscle stiffness. 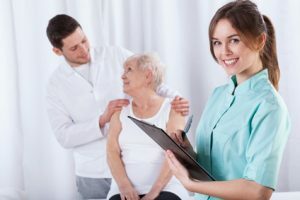 A physical therapist in Parsippany, NJ understands that home remedies are significant in the prevention of further injury or damage to the neck. Visit or contact Parsippany Physical Therapy in Parsippany, NJ for an appointment.